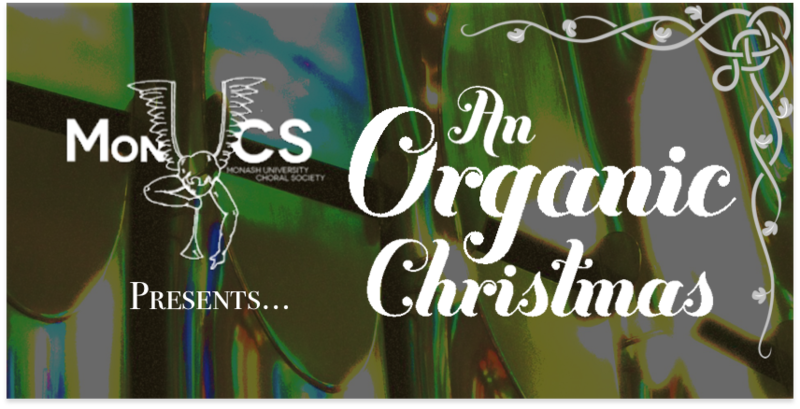 In December, Monash University Choral Society presented a christmas concert, entitled ‘An ORGANic Christmas’. It comprised an elegant display of choral music accompanied by organ with the repertoire drawing from traditional carols and hymns, as well as opera choruses, and showcased the choir’s musical sophistication. The soloists, Naomi Hyndman and Elizabeth Smallwood, were well chosen and their voices suited to their respective pieces (‘Regina Coeli’ from Cavalleria Rusticana and ‘Dido’s Lament’ from Dido and Aeneas). 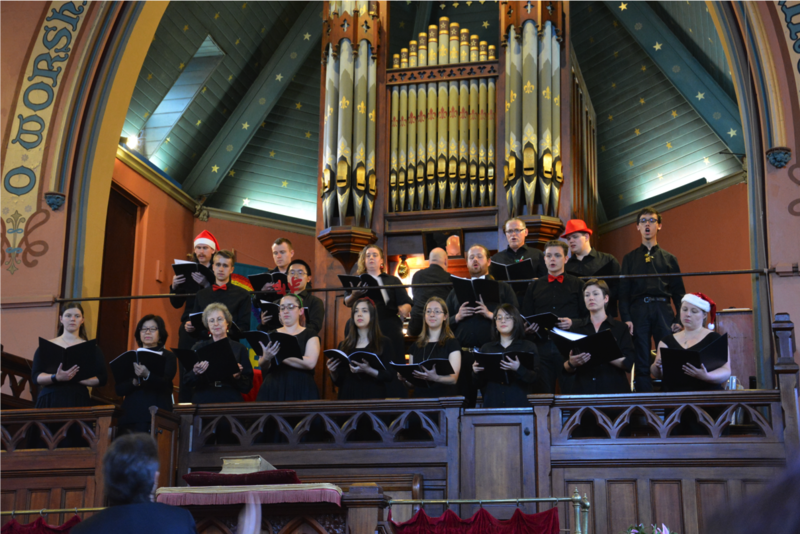 Directed by Rob Dora, and accompanied on organ by Geoff Urquhart, the non-auditioned choir performed at an exceptional standard and the varied program was much appreciated by the audience. 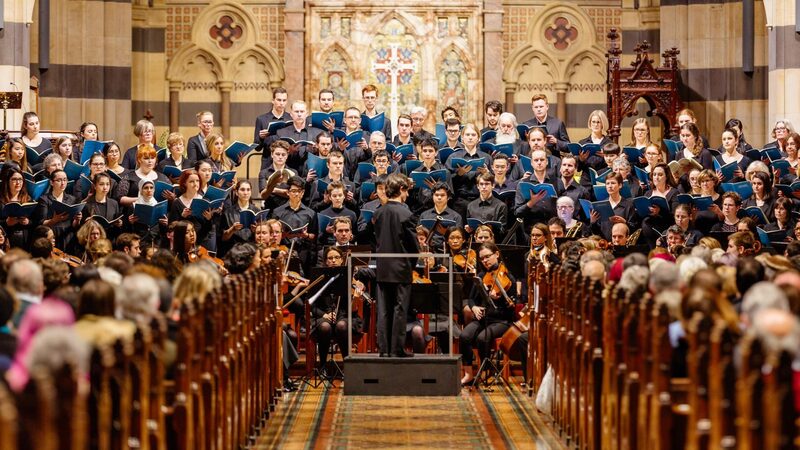 ‘Regina Coeli’ began the concert with the choir entering from behind the audience to mimic the procession staged in the opera, creating an intimate atmosphere contrasted with the angelic soprano solo sung from the heights of the organ box. A lively rendition of Ding Dong Merrily on High followed, with both opera choruses and carols, both well-known and unfamiliar, comprising the remainder of the program. Joyce Farnham, aged 79, travelled into the city with her husband, George (82) from their home in country Victoria to experience the production, which invoked in her strong memories of traditional carols of her childhood and memories of her Italian homeland as the society brought forth beautiful renderings of ‘Regina Coeli’ and ‘The Chorus of Enchanted Islanders’ from Alcina, both in Italian, her first language. Speaking on behalf of him and his wife after the show, George describe the show as being “engaging” and of a “very high standard”.